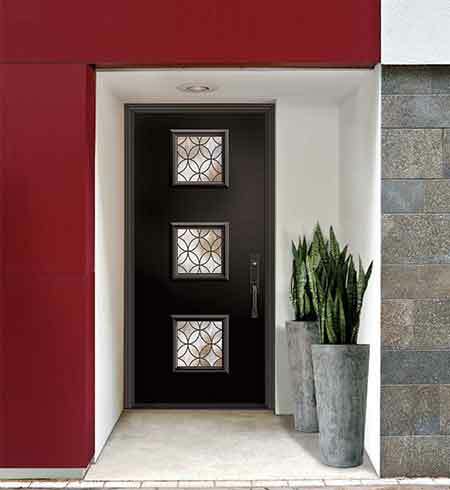 With clear, textured and decorative glass options, Modern doors are understated elegant entrances designed to enhance today’s contemporary home with simple, clean lines. Superior rust inhibition and polyurethane foam core. Top quality 24-gauge galvanized steel construction offers superior durability and tested performance. Solid reinforcements ensure that cylindrical hardware is mounted securely. Modern door series carry wood-edge door construction. 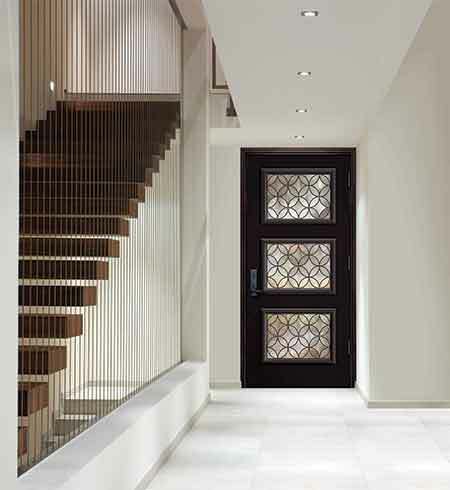 Clear, textured or decorative glass options reflect an entrance with distinctive style.